The rationale for the book will be to attempt to provide an answer to a fascinating historical puzzle. In the 1950s unionism in Scotland had reached an electoral peak and the SNP was an irrelevant political sect rather than an effective party.Yet, within a generation or so,in the Referendum of 2014, 45 per cent of Scots voted for independence and despite the clear victory for Unionists the debate rages on.What happened in 2014 will mean a radical revision of the Union with consequences for the governance of the entire UK. "...useful not only for Scottish readers, but also for anyone in Britain, Europe and the wider world who wants a relatively brief synopsis of how Scotland and the United Kingdom arrived at where they are now." "Briskly, clearly and fairly, he sketches a complex and detailed history, bringing new life and fresh perspectives to old stories. His aim is to write a history “with a commitment to impartiality, the use of representative evidence and the due respect for conflicting opinions”. This he has done brilliantly. " 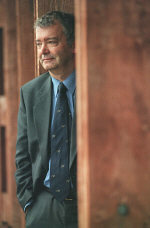 " the most prolific and influential of modern Scottish historians. His books on Scotland’s part in the making and administration of the British Empire are invaluable contributions to our understanding of the country’s history. " "...a book which is intended, I suspect, to become the standard textbook on Scotland’s history of the Union. It is an impeccably nationalist interpretation of Scottish history which will further cement Devine’s status as, in the judgment of his harsher critics, the SNP’s court historian. So it is an important book, even if you do not like it"
"...thorough, readable and grounded in statistics rather than stories." "This is analytical, synthetic, argumentative history at its best; it slays lazy myths and tells us the "why " of a momentous story every intelligent Briton ought to understand. . It has gaps... but it's cracking. And of course, it isn't really history. It's (highly) current affairs." "Independence or Union is his best book to date, is required reading and a perfect example of why history matters." "This fearless book … surefooted, balanced and reliable in analysis throughout." "The most respected historian in Scotland ,whose considered opinion is valued by both unionists and nationalists alike." 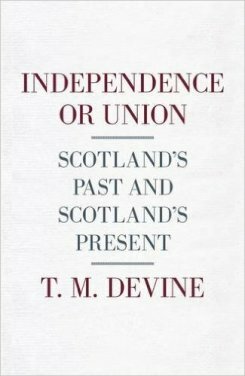 "Like much of Devine’s work it is informative and pleasantly easy to read … a clear account of Scotland’s constitutional trajectory over the last four centuries." "His aim was to write a history with a commitment to impartiality,the use of representative evidence and due respect for conflicting opinions.This he has done brilliantly … bringing new life and fresh perspectives to old stories." Tom Devine’s Independence or Union: Scotland’s Past and Scotland’s Present has been serialised in The Times this week.